7.2" x 7.2" stitched on 14 count. 5.6" x 5.6" stitched on 18 count. 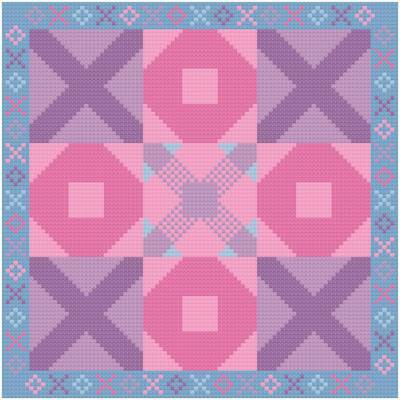 Tic Tac Toe cross stitch pattern... This design features the familiar xs and os. The border carries through the theme by showing the xs and os in each color used in the main design. All whole stitches. Could be used as a quilt block.